Availability: This product is discontinued and no longer available for purchase. For alternatives browse our Court Equipment department. 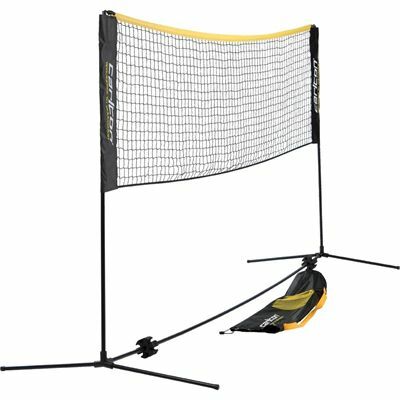 The Carlton Mini put-up net is a badminton set designed for indoor and outdoor use. Lightweight, foldable and easy to use, it will entertain the whole family and save storage space when the match is over. The net is 3 metres long, but it folds away into a duffle bag for easy storage and transportation. Folding is very simple and will only take seconds. The badminton set is ideal for everyone aged over 4 and works perfect e.g. for primary school education. It can also be used to play tennis. 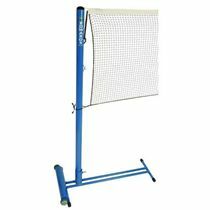 for submitting product review about Carlton Mini Put-up Net.